Law enforcement officers block off the entrance to Marjory Stoneman Douglas High School on Feb. 15 in Parkland, Fla. A day earlier a gunman opened fire in the school, killing 17 people. That's effectively stopped local governments from taking any action on guns, until Parkland. Following the shooting at Marjory Stoneman Douglas High School, like the students, local government officials are speaking up. Two weeks after the Parkland shooting, Raul Valdes-Fauli, the mayor of Miami suburb Coral Gables, proposed a law that would ban the sale of high-velocity semiautomatic rifles. Valdes-Fauli said he was prepared for the state-mandated penalties. "Our Legislature is cowardly," Valdes-Fauli said. "They are sold to the NRA. And it takes cities, or individuals or communities such as ours to do something." The law passed, but lasted just three weeks. It was overturned after some commissioners reconsidered their votes. Coral Gables gun collector Raul Mas Canosa came to a commission meeting with a threat. "If you pass this law, we will sue you," he said. "Chances are, as your own city attorney has told you, we will win. And you will end up paying not just your attorney's fees, but you'll be paying our plaintiffs' fees as well." Coral Gables is now taking another approach. It's joining with at least eight other cities to challenge the penalties in a law that pre-empts cities' ability to regulate guns. It's a lawsuit initiated by Daniel Stermer, the mayor of Weston, a community about 20 miles from Parkland. In Florida, local governments are part of a growing movement to adopt tougher gun laws. Weeks after Florida's governor signed a bill imposing a three-day waiting period and raising the age for all gun sales to 21, some cities want to go further. Stermer believes that in a state as large as Florida, with big cities and a large rural population, local governments should have a say in regulating guns. "The northern part of our state may view guns differently than we do down here," he says. "Folks north of Lake Okeechobee view firearms differently than people south of the lake, where it's more urbanized. Local governments should have a choice." If his lawsuit is successful, Stermer says he will ask his city commission to pass an ordinance that would prohibit guns in Weston's public buildings and parks. "If you walk into city hall today or a park today, we can't even put up a sign that says 'No Firearms Allowed.' We used to have them there. But once the pre-emption came in, we had to take it down," says Stermer. The penalties targeting local officials were added in 2011 to a law that already pre-empted cities and counties from regulating guns. NRA lobbyist Marion Hammer helped write it and get it passed. "Elected public officials put themselves above the law, so the Legislature had to come back and put penalties in," she says. Hammer has no comment on this lawsuit or a second one challenging Florida's pre-emption law planned by Everytown for Gun Safety, a group backed by former New York City Mayor Michael Bloomberg. But in a state where more than 1.8 million people have permits to carry a concealed weapon, she says it's important to have a single set of gun laws. "In a mobile society," Hammer says, "citizens could inadvertently violate local ordinances by simply traveling our state with no way of knowing what these local ordinances were." If the lawsuits are successful, some cities are considering bans on high-velocity semiautomatic rifles and high-capacity magazines. Gun control advocates unsuccessfully tried to get those provisions added to the law recently passed by the state Legislature. There's now a move to put those two measures on the ballot for voters to consider statewide. To put the measures on the ballot in Florida, Coral Springs Mayor Skip Campbell says proponents will need more than 1 million signatures. And to pass it, they'll need 60 percent of voters to approve it. Campbell concedes it's a high bar. "I'm hoping the young people who have shown up and have taken this issue on will stay engaged and will in fact help us get by the signature issue," he says. "And I'm hoping the same young people, because they're turning 18, will get out there and vote." Campbell says organizers want to put the measures on the ballot in 2020, a presidential election year. A school shooting in Florida prompted a nationwide drive for more gun laws, but cities in Florida are not likely to join in. The state of Florida did impose a waiting period for gun purchases and raised the age for gun sales to 21. Some city leaders in Florida would like to do more, and they are not happy that state law explicitly forbids them. NPR's Greg Allen reports. GREG ALLEN, BYLINE: Under Florida law, only the state legislature is allowed to regulate firearms. Local government officials who ignore that law face stiff penalties - removal from office, a $5,000 fine they must pay from their personal funds and lawsuits from any person or group affected. That's effectively stopped local governments from taking any action on guns, until Parkland. 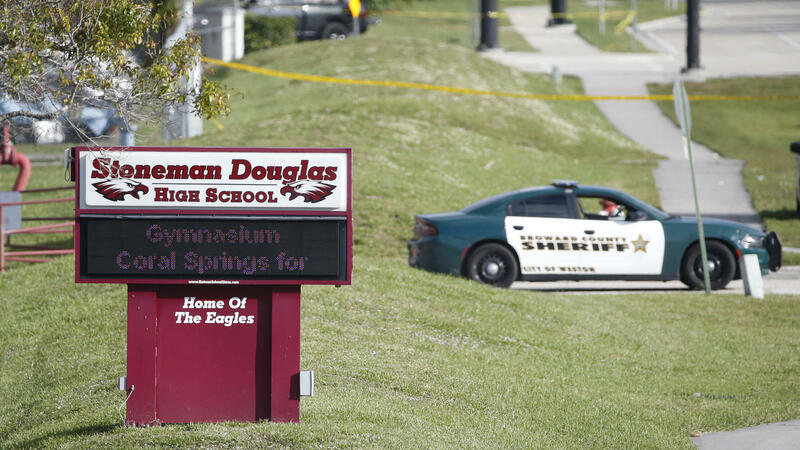 Following the shooting at Marjory Stoneman Douglas High School, like the students, local government officials are speaking up. RAUL VALDES-FAULI: Our legislature is cowardly, I think. They are sold to the NRA, and it takes cities or individuals or communities such as ours to do something. ALLEN: That's Raul Valdes-Fauli, the mayor of Coral Gables, a Miami suburb. After the Parkland shooting, he and the city's commissioners voted to adopt a ban on high-velocity semiautomatic rifles. It lasted just three weeks. It was overturned after some commissioners reconsidered the consequences. Coral Gables gun collector Raul Mas Canosa (ph) came to a commission meeting with a threat. RAUL MAS CANOSA: If you pass this law, we will sue you. Chances are, as your own city attorney has told you, is we will win and you will end up paying not just your attorney's fees, but you'll be paying our plaintiffs' fees, as well. ALLEN: Coral Gables is now taking another approach. It's joining at least eight other cities to challenge the penalties in a law that preempt cities' ability to regulate guns. It's a lawsuit initiated by Daniel Stermer, the mayor of Weston, a community about 20 miles from Parkland. If it's successful, Stermer says, he has a local ordinance ready to go. It would prohibit guns in Weston's public buildings and parks. DANIEL STERMER: If you walk into City Hall today or a park today, we can't even put up a sign that says no firearms allowed. We used to have them there, but once the preemption came in, we had to take it down. ALLEN: The penalties targeting local officials were added in 2011 to a law that already preempted cities and counties from regulating guns. NRA lobbyist Marion Hammer helped write it and get it past. MARION HAMMER: Elected public officials put themselves above the law. So the legislature had to come back and put penalties in. ALLEN: Hammer has no comment on this lawsuit or a second one challenging Florida's preemption law planned by Every Town For Gun Safety, a group backed by former New York City Mayor Michael Bloomberg. But she says in a state where more than 1.8 million people have permits to carry a concealed weapon, it's important to have a single set of gun laws. HAMMER: In a mobile society, citizens could inadvertently violate local ordinances by simply traveling our state with no way of knowing what these local ordinances were. ALLEN: If the lawsuits are successful, some cities are considering bans on high-velocity semiautomatic rifles and high-capacity magazine clips. Gun control advocates unsuccessfully tried to get those provisions added to the law recently passed by the state legislature. There's now a move to put those two measures on the ballot for voters to consider statewide. Skip Campbell is the mayor of Coral Springs, the town next door to Parkland. To put the measures on the ballot in Florida, he says, proponents will need more than a million signatures. And to pass it, they'll need 60 percent of voters to approve it. Campbell concedes it's a high bar. SKIP CAMPBELL: I'm hoping that the young people who have shown up and have taken this issue on will stay engaged and will in fact help us get by the signature issue. And then I'm hoping that those same young people - because they're turning 18 - will get out there and vote. ALLEN: Campbell says organizers want to get the measures on the ballot in 2020, a presidential election year. Greg Allen, NPR News, Miami. [POST-BROADCAST CORRECTION: In the audio, and an earlier Web version of this report, we say some cities are considering bans on high capacity magazine clips. We should have said high capacity magazines.] Transcript provided by NPR, Copyright NPR.